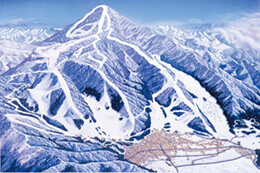 Mountains and Resorts - Pod Snowsports - Find the Perfect Ski Resort Today! Below are some of the most popular mountains and ski resorts in the Snow Country region. Our instructors can go to any one of these resorts (and more!) to teach you. 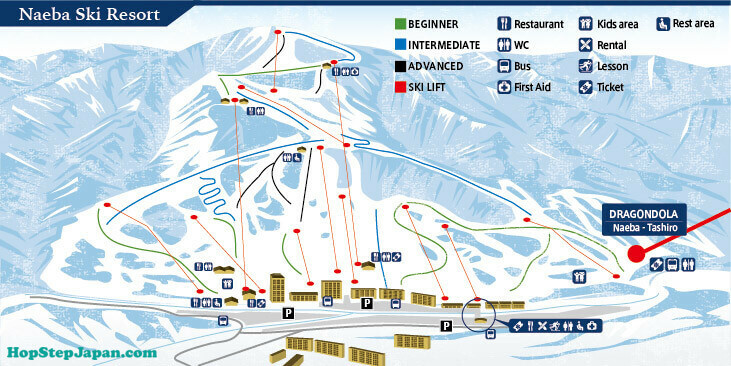 Choose the button below that best represents your skill level, and we’ll show you ski resorts that might suit you well. If you’d rather, you can also just keep scrolling down and look through our list of resorts and use the table or the full descriptions below to help you make a decision. Each one is ranked by suitability for Beginners, Intermediates, and Experts on a scale of one to three stars. One star is least suitable and three stars mean that resort is great for that ability level. “Distance” refers to the distance from Echigo-Yuzawa Station and Pod Snow Sports. 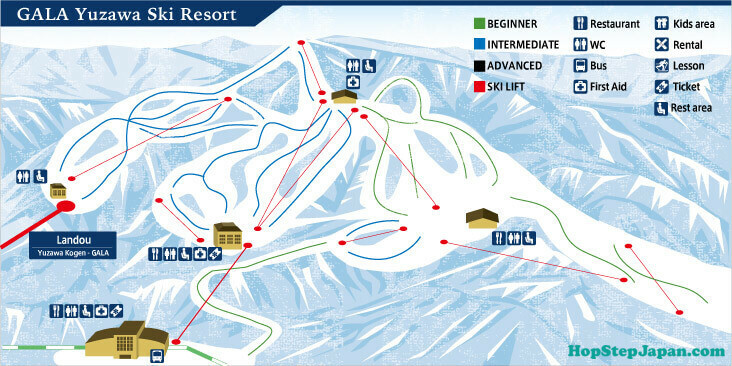 Use the arrows at the tops of each column to sort the list of resorts. 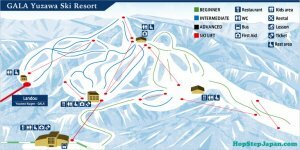 While each of these ski resorts also has runs for people of intermediate and expert levels, the resorts below are particularly well suited to those just beginning to learn to ski and snowboard. The base of the resort is right in the center of Yuzawa. The Family Slope at the bottom of the ropeway is skier only and is one of the gentlest runs for beginners in the whole region. This resort is skiers-only and has a large hotel complex attached. It has a magic carpet lift where you can practice until you are ready for the first beginner run from the chairlift up the mountain. 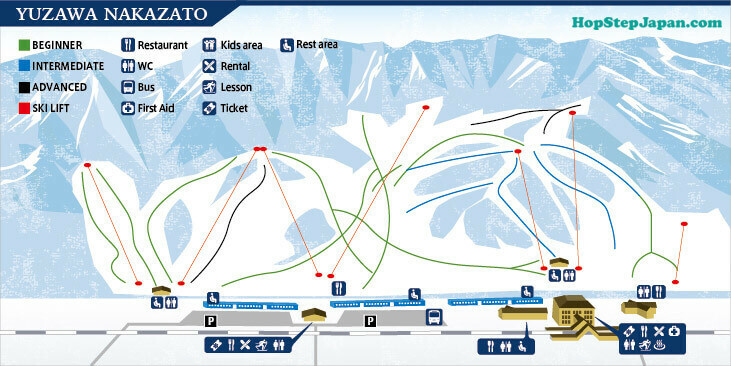 Long wide slopes which are great for beginner and intermediate skiers and snowboarders. Not much for experts. This ski resort has a magic carpet lift. Yuzawa Nakazato Ski Resort is a good choice for families. 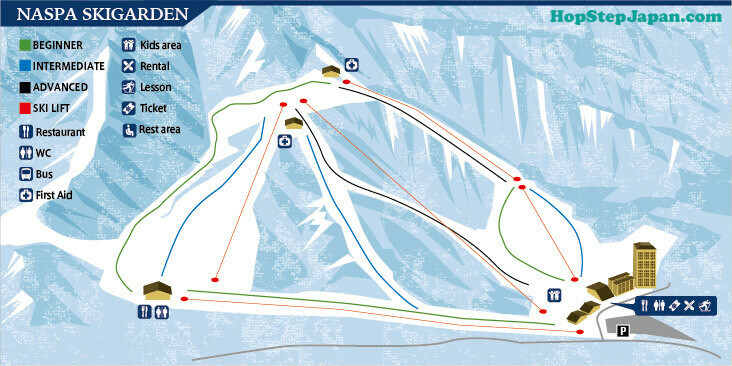 It provides a good range of runs with some very gentle terrain for beginners. It also has a magic carpet lift for first timers as well as a sledding/tobogganing course. Relax in the re-purposed train carriages at the base of the ski resort. Although not in the Snow Country Region, this resort is only an hour away from Yuzawa, in Nagano Prefecture. Nozawa Onsen Ski Resort is a popular resort and quaint village. We often have clients asking to ski and snowboard with us over there. Every resort has at least a little space for beginner and expert skies and snowboarders, but these ski resorts specialize in that happy medium. Their runs mostly focus on people who have some experience, but aren’t quite yet experts. If you’ve been skiing or snowboarding before and want a little bit more of a challenge, visit one of these mountains. One of the largest and most popular snow sports resorts in Yuzawa. It’s very easy to access because it has its own dedicated shinkansen (bullet train) stop! 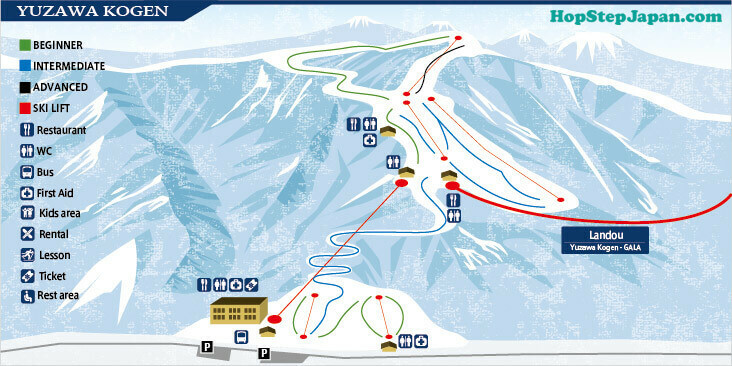 Plenty of different runs in this ski resort that links up with GALA Yuzawa. It has lots of slope-side accommodations. There are several base areas for the resort, so if you want to meet with us, we’ll need to confirm which meeting area works best for you. 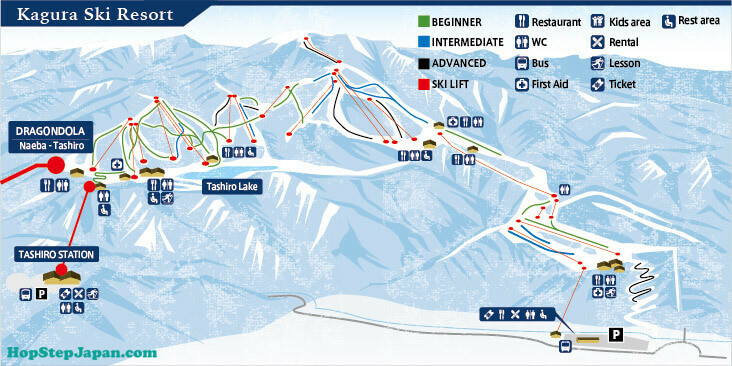 Tashiro Ski Resort is between Naeba and Kagura. 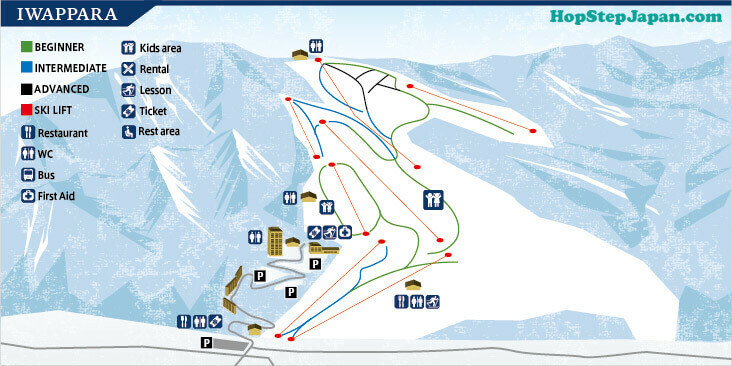 It has plenty of long, cruise-y slopes that are great for beginners and intermediates. The first run down from the top of the ropeway can be a bit daunting for beginner skiers as it is a narrow track, but after that, there is plenty of space to explore. 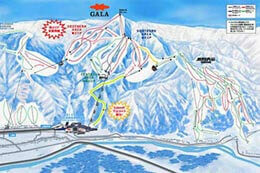 Naeba Ski Resort is a large resort with the huge Naeba Prince Hotel at the bottom. Naeba is linked to Tashiro by the 5.5 kilometer long Dragondola. Are you ready for a challenge? Take on one of these ski resorts to test your mettle. While these resorts do have runs for people of other skill levels, they’re definitely best suited for those with the skills to take on their most thrilling and challenging runs. Kagura Ski Resort has some great runs for intermediates and experts but can be challenging for beginners as most of the runs are rather steep. Some good backcountry opportunities are also available if you like hiking. Bring an avalanche transciever/beacon if you’re planning to do any backcountry exploration, though! 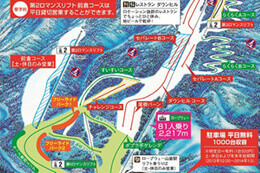 Hakkaisan Ski Resort is full of very long runs, most of which are steep. 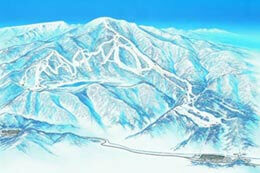 Hakkaisan is a great place place for advanced skiers and snowboarders. Check out our friends at Hop Step Japan to book local lodging for your stay in Snow Country. Receive 1 additional hour of lessons for free when you book lodging with them and a 4+ hour lesson with us.